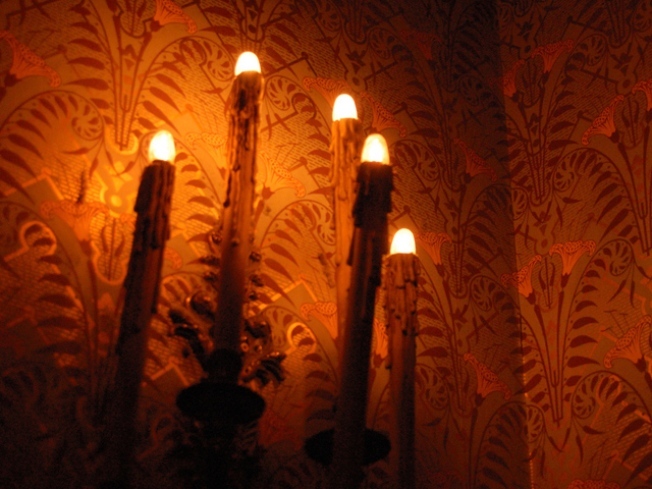 Hear sordid tales of the Merchants House Museum by candlelight. Eesh. LONG DEAD: Manufactured haunted house “experiences” are one thing – but prowling through a home in which real people died more than a century ago is entirely another. Starting tonight, the Merchants House Museum – once home to a prosperous merchant family with names like Gertrude and Seabury – shares its more unsavory history with you. On a candlelight tour of the house The Times calls “Manhattan’s most haunted”, hear tales of its paranormal history and take in scenes of mid-19th century death and mourning. Good times. 6-10PM (also on 10/24, 29, 30). FLY AWAY: Through all of Lenny Kravitz’s musical vagaries – you know, covering “American Woman”, producing a remake of “Take a Walk on the Wild Side” with Johnny Depp’s wife, these sorts of things – two facts have held true: One, dude can wear the hell out of a suit, and two, he does not disappoint live. Come experience the latter (and possibly the former, if you’re lucky) at the Wellmont Theater, Montclair, N.J. 8PM. DOUGH RE MI: Williamsburg pizza destination Fornino is five years old – which is like 60 in NYC restaurant years – and celebrating with a treat for you, its fans: $5 Margherita pies. We’ll bite. Open 12PM-12AM.